How A Personal Fitness Guru Started His Business On The Right Foot! HomeBlogHow A Personal Fitness Guru Started His Business On The Right Foot! 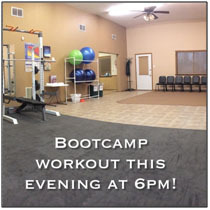 Craig Grimm launched his new business… Craig Grimm Fitness (grimmfit.com) in 2014. As you can see Craig’s a fit guy, and he makes his living helping others achieve the best versions of themselves! Part of his business strategy is growing his customer base, and connecting closely with them. Because not everyone gets emails… or is on Facebook all the time, Craig decided to use text message marketing in a crazy way. took a few minutes – his creativity flashed. 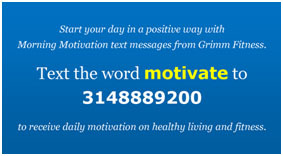 Craig started a regular motivational text that’s free to anyone. Throughout the week he sends his customers text messages providing motivation and inspiration. These messages go to not only current customers… but also those thinking of signing up and using his services. He’s adding people to his text messaging list in two critical ways – first by asking customers,as they walk into class, to sign up. The other way is by posting his Betwext.com text message number on the front of his Facebook page. Craig uses the scheduling feature in Betwext, allowing him to write and schedule text messages a month or more in advance. This frees him to focus on the more important parts of his business… Like helping customers achieve their fitness goals. Note: All case study customers receive $20 in texting credit for their participation.